Snow damage is no stranger to anyone living in Colorado and it’s usually during this time of year when we start to decorate our house with snow-like decorations. 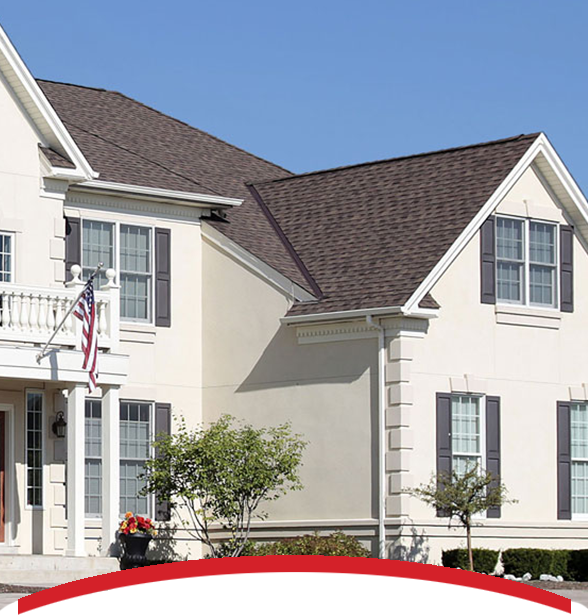 When it snows, those pretty little icicles that hang from your roof are the icing on the cake of your decorating – but they can actually lead to some very not-so-pretty roof damage if you aren’t careful. As weight can be a serious problem, the worst damage usually comes from melting snow and ice. Each part of Colorado sees different amounts of snow at anytime during winter months. While Highlands Ranch may get five inches, Fort Collins may only get one. Meanwhile Colorado Springs get four inches and Denver only gets two. Colorado is no stranger to quick-changing weather, going from snowy to sunny within a day, which is the main cause for ice dams. As snow storms come through different areas within Colorado, they leave snow on roofs, and then the sun comes shortly after and warms things up again. This can spell disaster as snow buildup and icicles prevent melting snow from draining off of your house, creating pools of water on your roof. The insulation keeps the inside of your home warm, while ventilation systems keep your attic cool. This is a destructive combination for the snow on your roof, as it keeps the snow from completely melting. Near the edges of roofs and gutters, look for blockage and freezing that may be causing little-to-no water drainage. Rake – From the ground, rake your roof and knock off all excess snow and icicles that aren’t melting fast enough. Ventilation – Proper attic ventilation draws in cold outdoor air and flushes out warmer attic air, cooling the attic and the roof in the process (we can talk about other options like turbines, too). We highly suggest you stay away from trying to shovel your roof, as this could also cause damage to your roof. CAREFUL, it’s also not safe to get up on the roof yourself to check for ice dams. If you need an expert to come and inspect your roof for ice dams, call Interstate Roofing and we’ll inspect your roof for FREE.